Do you have exciting plans lined up for the summer or are you thinking ahead to holiday trips home? While you’re probably focused on cutting costs and earning miles right now, you should also be thinking about how to make that upcoming trip even easier. 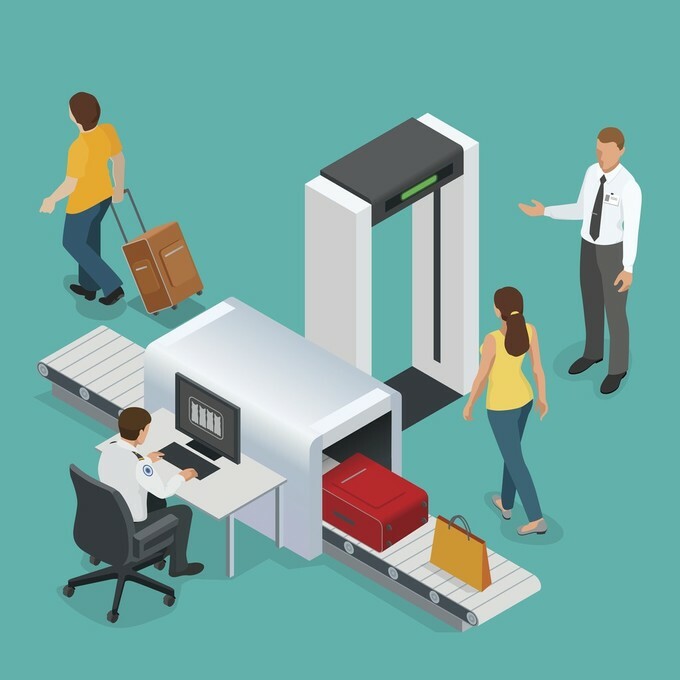 According to a recent study by the U.S. Customs and Border Patrol Agency, airport security lines are no laughing matter. And if you plan to travel during the summer months – or go through certain airports – you should be prepared for a long wait. In fact, in airports like Orlando, you will see average maximum wait times of over 52 minutes! If you’re looking to catch a flight (or snag a good seat on an airline like Southwest), a security line like that could derail your plans. So, what can you do, besides grin and bear the wait? Well, enrolling in TSA-PreCheck and/or Global Entry can be a great idea, if you want to skip the long airport lines. And with the right credit card, enrollment can bes free. First, let’s talk about these two programs and how they can get you through security even faster. TSA PreCheck is the cheaper of the two, at $85 every five years. Once you complete the application process (which includes an in-person interview), you’ll have access to TSA’s expedited screening at all participating airports. You’ll have a dedicated security line, allowing you to go through the screening process with other PreCheck customers. You’ll be allowed to keep your laptop in your bag as well as keep your shoes on, making the screening faster and more streamlined. Plus, the PreCheck lines are often significantly shorter than the general security lines. Global Entry is a bit more expensive at $100 every five years. However, this program is more broad than PreCheck alone, offering you a faster screening process for your international travel, as well. With Global Entry, you’ll have expedited processing through Customs and Border Patrol at both airports and land borders when you enter the United States. Global Entry will also speed up your customs process upon arrival in some other countries, too. The best part about Global Entry? It comes with TSA PreCheck, so you’ll get domestic and international benefits for only $15 more. If you are questioning the expense, though, you’re in luck: the right credit card can give you access to Global Entry and/or PreCheck for no additional fee. Travel credit cards are notorious for giving cardholders great perks, especially when it comes to their travel-related expenses. These could include waived baggage fees, airport lounge access, and even reimbursement for your Global Entry and PreCheck enrollment fees. First up is the Platinum Card from American Express. It offers to waive the fee for either Global Entry or TSA PreCheck once every five years, and that’s not just for the primary cardholder. If you have authorized users added to your Platinum Card account, they will also get complimentary Global Entry or PreCheck enrollment. While the card’s annual fee isn’t cheap ($550, currently), this fee waiver can easily make up a significant portion of the cost. Three other premium travel cards – the Citi Prestige, Citi/AAdvantage Executive World Elite, and the Chase Sapphire Reserve – have pricey annual fees ($450 a year) that might deter many would-be applicants. However, both cards offer a slew of travel benefits, in addition to fee waivers for Global Entry or TSA PreCheck enrollment. Between that benefit and others (like travel credits, premium lounge access, and excellent rewards redemptions), you can easily make up for the annual fee and skip the airport lines at the same time! Want a card that’s a little cheaper to carry but will still cover your ability to skip the security line? Take a look at the U.S. Bank FlexPerks Gold from American Express. This card has a modest $85 annual fee but offers up to $25 toward airline fees when you buy a ticket using the card, in addition to a $100 Global Entry or $85 TSA PreCheck enrollment fee waiver. If you travel often – or just want to avoid the long security lines and hassle when you do fly – both TSA PreCheck and Global Entry are worth considering. While the former is a bit cheaper, the latter offers you even more benefits, especially when flying internationally. 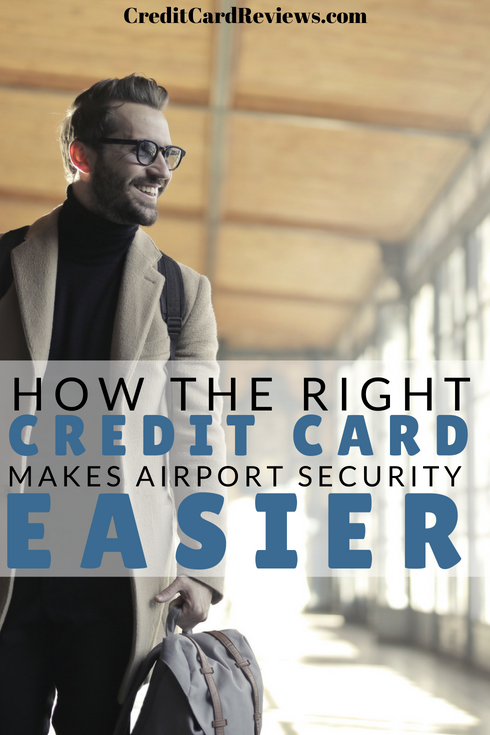 However, with the right credit card, you can enroll in either program without paying a penny… then enjoy breezing through security with your shoes still on your feet.